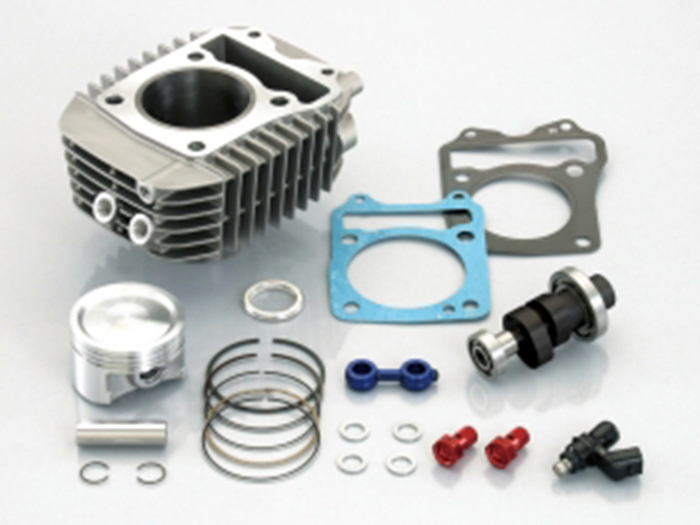 Kitaco 164cc big bore kit for the Honda Grom with Type 2 horsepower camshaft. Slight sacrifice to midrange power, with emphasis on top end. This kit includes 60mm cylinder and piston kit, top end gaskets, Type 2 camshaft, and high flow injector. You'll need a fuel injection controller to run this kit efficiently, see our iMap Type 2 in a separate listing. Also recommended at this power level is our new Grom oil cooler kit to keep things cool.